Galli Heritage has mastered the art of prestige. We understand that a business is best defined by its public persona; its appearance inside and out display the success they have achieved for themselves and their clients, and hint at what they offer future clientele. After decades of building multimillion dollar show homes Galli Heritage has mastered the art of prestigious commercial building services; we have translated our experience into crafting premier business structures that exemplify the true status and success of our clients. 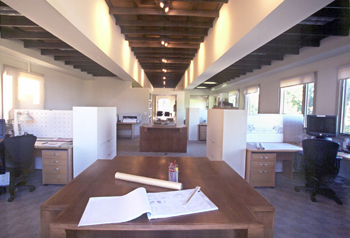 We work with your architect to insure every aspect of your vision is brought to fruition. If you have yet to begin drafting your blueprints we'll be happy to consult with you before matching you with just the right architect to serve your needs. We affiliate only with the finest craftsmen and professionals in their respective field as each component of your project is undertaken. We have found that it is important that our firm gets involved early so that we understand the project as it relates to owners needs and expectations. At Galli Heritage the preconstruction process involves accurate conceptual and detailed cost estimating, site evaluation, scheduling, and value analysis. a project at no additional cost. Our goal is to learn and implement early on in the process, items that will improve and enhance the economical and functional design of the project. Having timely cost information helps in the decision-making process and expedites the design. With careful value analysis our aim is that your project meets its budgetary goals without sacrificing quality or function or increasing maintenance costs. We develop and maintain a master schedule which includes design milestones, permits and approvals, early bid package, and identify items requiring long lead times. We also create a schedule of the project that is regularly updated with any decisions that may impact completion. This information is reviewed on a weekly basis. From the beginning Galli Heritage’s goal has been to provide quality construction services. During the construction phase we maintain our three primary goals which are the same for all projects: keep on-budget, stay on-schedule and achieve and maintain the highest quality standards. foundation, framing and finish crews. In this way we maintain and control the entire construction process through completion. 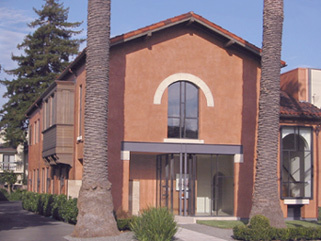 The kinship between Galli Heritage and client transcends the typical relationship of service provider and customer account for a commercial building project that may last a year or more... When your building project is completed you'll understand the importance the strength of a client / builder relationship at Galli Heritage.